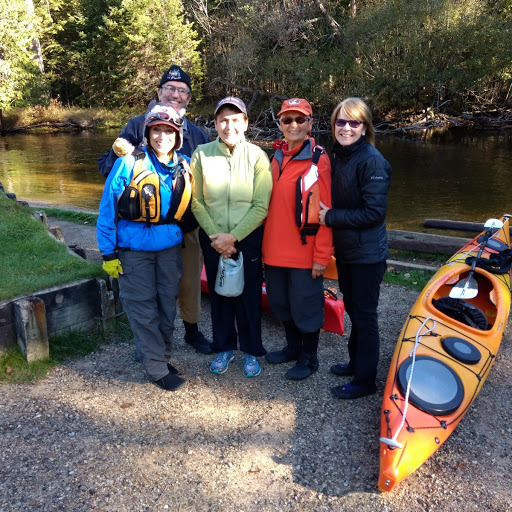 Marv, Marlene, Terry, Babs and Greg came out to join me on my first posted paddle. Marv didn't join us on the paddle, however, he was there to see us off and welcome us back; gracious as always, Marv offered to run our shuttle. What a great group! 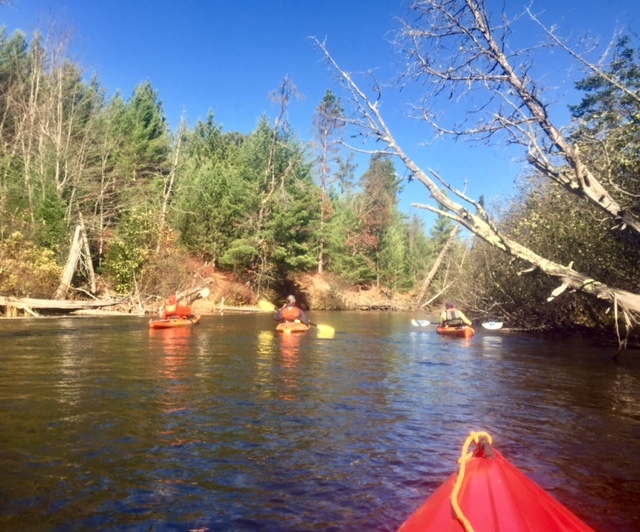 Our Wednesday paddle along the Mason Tract couldn't have been more enjoyable. 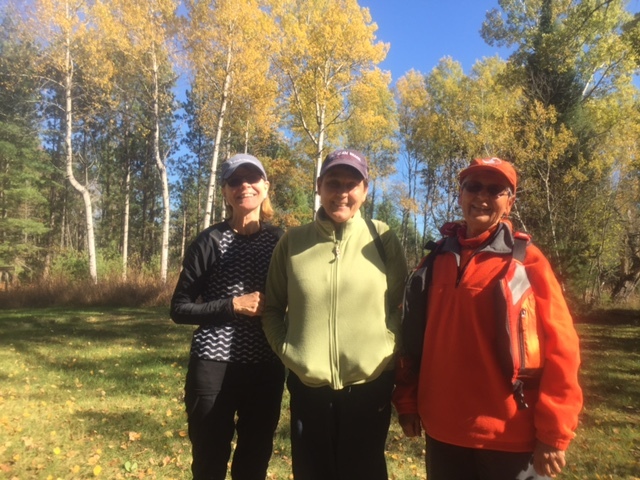 Despite the cooler morning temps, the sunshine and clear blue skies had us shedding our jackets after lunch. 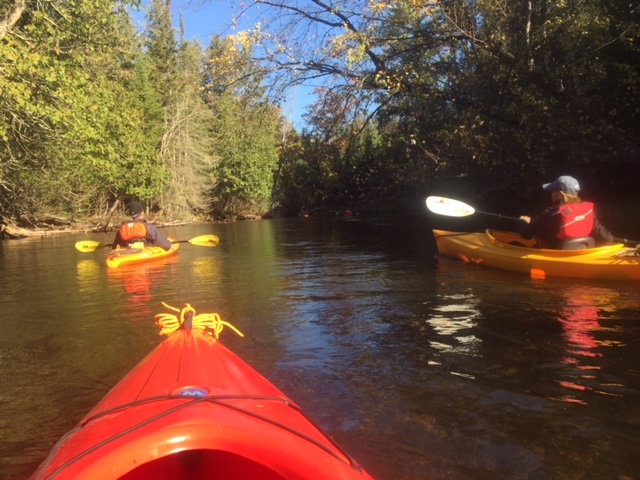 Our leisurely paddle was complemented by warm conversation and a beautiful backdrop of colorful fall foliage. 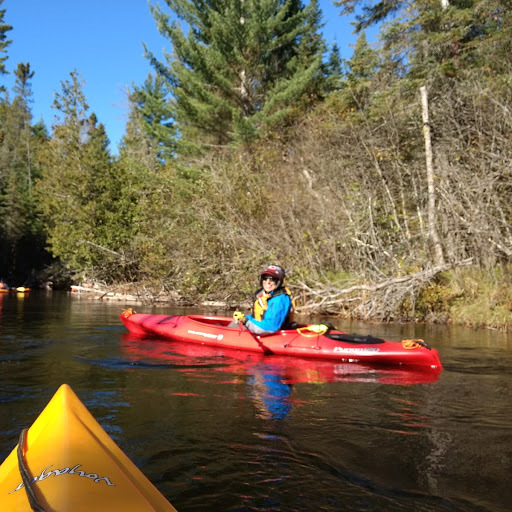 As the the slow but constant current swept us along, we enjoyed sightings of a great blue heron, who stood its ground as we passed ;quite a few wood ducks; and to our thrill, two eagles majestically soaring together above our heads. The several fly fishermen we had passed all shared the same response, that they had "caught a few."